Could flat shelf carts solve allow office workers to roam free? Make your workforce more portable. The office landscape has changed a lot over the past few decades. Spaces are becoming more and more open, which is something not all workers are accustomed to, causing some strife within certain organizations. Managers need to keep some of their office supplies in a common, portable area. 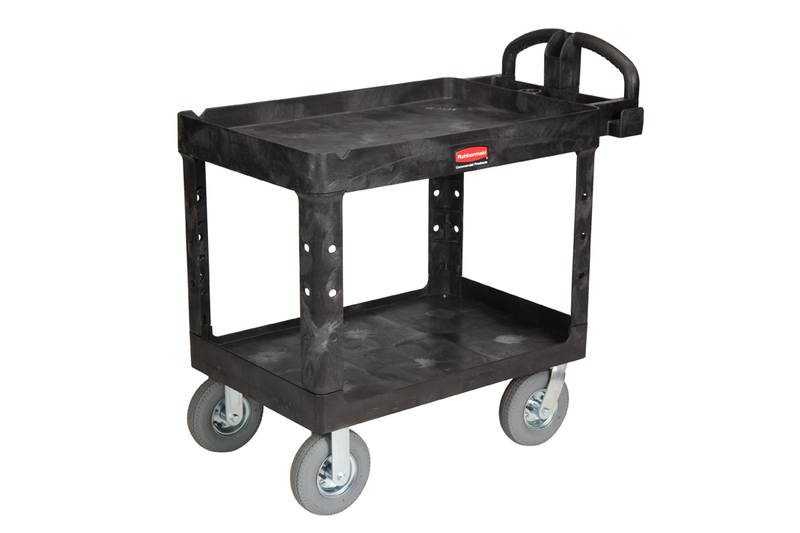 Purchasing flat shelf carts and filling them with office supplies and leaving them around the office can encourage employees to move around. The Washington Post reports that open-floor workspaces are not the best option for workers. They can often lead to distraction and can even be stress-inducing for some people. Companies are increasingly creating small private workstations where employees can seek refuge when their office is particularly noisy. It could be beneficial to have some extra supplies on hand so an employee does not feel he or she needs to move their entire desk whenever they want to find some peace and quiet in the workplace. Good Magazine reports that this has led companies to create small work spaces where employees can seek refuge when things becoming increasingly stressful. When coworkers start getting a little too talkative, these pods serve as a place where people can go for a little peace and quiet. Having portable supplies can encourage people to move around more. This entry was posted in Material Handling and tagged flat shelf carts. Bookmark the permalink.